This event was held on 2019.03.09 (Sat). 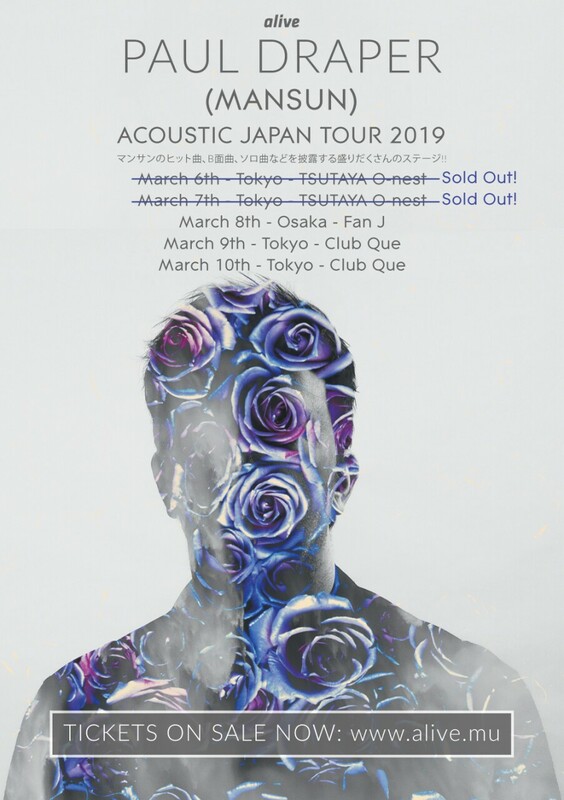 After selling out both Tokyo shows, Paul Draper has announced two extra Tokyo dates and an Osaka date, in response to overwhelming demand! 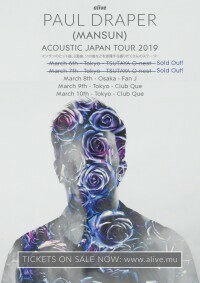 Paul Draper the ex-Mansun frontman will return to Japan for the first time since 2000. Accompanied by guitarist Ben Sink; hear a set of tracks spanning Mansun, Spooky Action and solo EP’s PLUS new and as-yet unreleased songs from his second solo album. With both Tokyo shows having sold out due to overwhelming demand, further shows have been organised - get your tickets while they last!